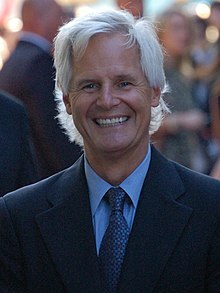 Christopher Carl Carter (born 13 October 1957) is an American television and film producer, director and writer. After beginning his television career working on television films for Walt Disney Studios, Carter rose to fame in the early 1990s after creating the science fiction television series The X-Files for the Fox network. thing to do. The show is basically a religious show. It’s about the search for God. You know, "The truth is out there." That’s what it’s about. Scully: Agent Mulder. I'm Dana Scully. I've been assigned to work with you. Mulder: Oh, isn't it nice to be suddenly so highly regarded. So who did you tick off to get stuck with this detail, Scully? Mulder: Oh, really... I was under the impression that you were sent to spy on me. We've got The X-Files, and I believe what we're looking for is in them. I'm more certain than ever the truth is out there, Scully. Carter carried himself as though he were meeting up with some dudes for a beer. Despite being the ’90s’ most intense purveyor of paranoia, his entire demeanor in person seemed to say, "What, me worry?" After the applause died down, he initiated a penchant for deflective self-deprecation that would last all night — "I have a lot of family and friends who are probably wondering why you are clapping." … In the end, Carter left the impression that he doesn’t take the fandom and his own place in it especially seriously, but that he does take his role as a popular storyteller with the deepest sense of personal gravity and responsibility. "The X-Files gets raves in part because it addresses so many of the central themes of life in the United States at the turn of the millennium — a wariness about technology, a wondering about the deeper questions of life and a distrust of big government." It is his ability to bring these issues forth in story form that makes Carter want to continue, despite the weirdness, and makes him so valuable to a culture that needs an intelligent mirror of itself. This page was last edited on 17 August 2018, at 22:59.